Russian lawyer and censor of Hebrew books; born at Dubno 1835; graduated from the Rabbinical School of Jitomir in 1859, and from the University of Kiev in 1869. In 1871 he was appointed by the governor-general of Kiev censor of Hebrew books and consulting official on Jewish affairs. 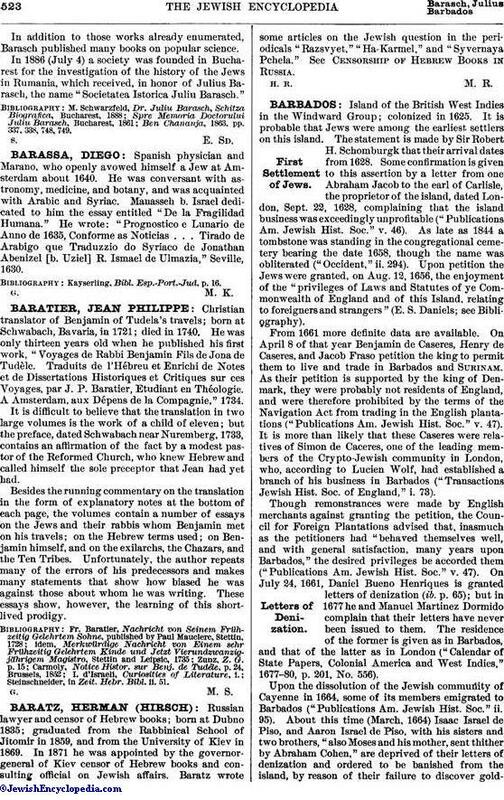 Baratz wrote some articles on the Jewish question in the periodicals "Razsvyet," "Ha-Karmel," and "Syvernaya Pchela." See Censorship of Hebrew Books in Russia.